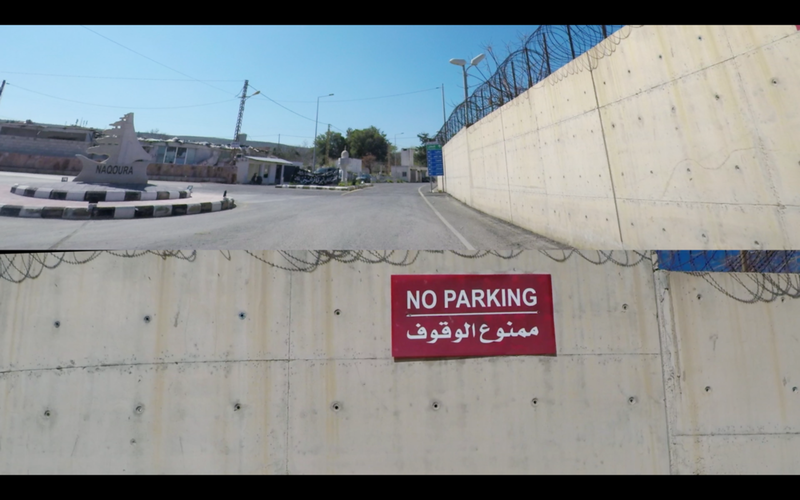 From Syria to Palestine: El Autostrad' (Short version), Video Installation in collaboration with Stéphanie Dadour, Lebanon, 2017. 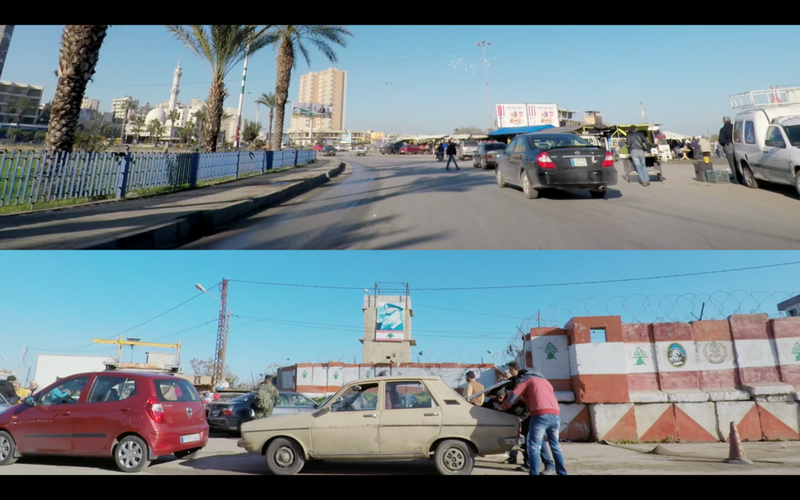 Two cameras were placed in a car driving along the Lebanese highway from north to south, from the Lebanese-Syrian border to the Lebanese-Palestinian border. The journey takes place in one stroke, following the rhythm of a typical day. 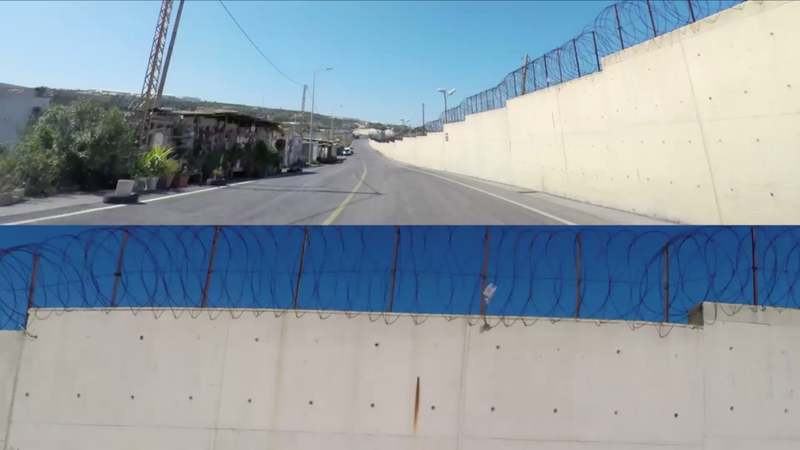 It takes a little over 200 km or 4 hours without traffic, to discover a set of places linked by a road, a receptacle of multiple identities. 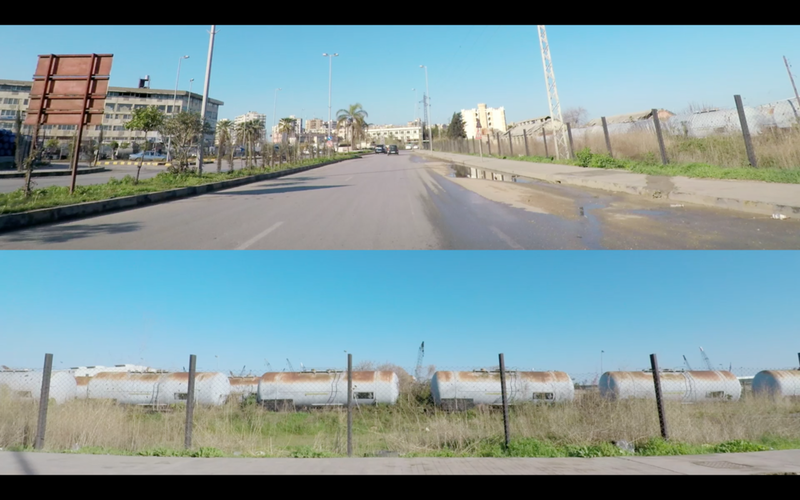 Ashkal Alwan Production, Post-production supported by Institut Français du Liban.